Volunteer at the Maritime Museum. A San Diego treasure, the Maritime Museum of San Diego is more than a collection of world-class exhibits and ships. 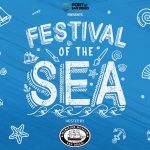 It is a family of volunteers, members, and supporters like you, who are joined together by their passion for the sea, maritime history, and creating an inspiring and enlightening experience for children and adults alike. We have opportunities for young & old alike. Docents, Sail/Maintenance Crew, Special Event Volunteers, we have plenty of opportunities. Come join our family and be a part of history. Five Sunday classes starting Sunday July 15 to August 12th, 2018. Each class starts promptly at 0800 (8am) for approx 3.5 hours per class. The ships at the Maritime Museum are sailed and maintained by a dedicated group of volunteers. 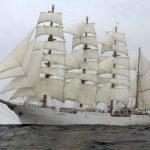 Have you ever wanted to learn to sail and maintain tall ships? The Maritime Museum will teach you. Learn about ships from four different centuries which include the 19th century Californian, a tops’l schooner; the 18th century HMS Surprise a full rigged British Frigate, the 19th century three masted Bark the Star of India, 16th century Spanish Galleon San Salvador and the 20th century steam yacht Medea. 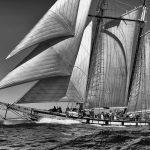 Sail and maintenance crew members can expect to learn skills such as rope making, knot tying, climbing the rigging, maintenance of the ships, and much more. Don’t think you are a climber? No problem, we have needs for people of all abilities. 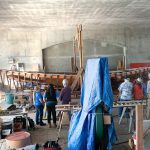 Crew meets on Sunday aboard the Star of India, plus we have ongoing opportunities during the week for sailing and maintenance. Fill out the online application form, and we can email you crew information about joining. Or show up at the Star of India, Sundays 7:45am. Ask for Mr Davis. Crew members must be Maritime Museum members and have their own health insurance. Star of India : Sail training and Seamanship manual. Maritime Museum of San Diego Docents are a special breed of people. They are our volunteer teachers. These knowledgeable and talented individuals are experts on our ships and exhibits, interpreting the museum’s collections for our visitors. They also lead organized tours for groups ranging from grade school to scout groups to conventioneers. The Maritime Museum of San Diego accepts individuals who wish to volunteer as docents at any time. Training can be accomplished by Docent Training Classes, Docent Mentorship Program or a combination of the two. Museum Membership is required to be accepted in the Docent Training Program. Once a year formal training is arranged, beginning in early January and running for 13 consecutive weeks. Training sessions are on Monday’s. They begin at 9:00am with a short meet and greet social. Classes run till noon and cover a comprehensive variety of topics. For further information, contact the Volunteer Coordinator’s office at (619) 234-9153 x 129 or send an email Click Here to email. CLICK HERE to view current Docent tour guide assignments. There are always plenty of opportunities to help with cataloging, preserving, and protecting thousands of books, periodicals and historic artifacts in our museum library and collections department. Help is also needed in the curatorial department developing and installing permanent and temporary exhibits. The San Diego Ship Modelers Guild is a group of artisans sharing a common interest in ship modeling, maritime history, and lore of the sea. The Guild provides a forum for the exchange of ideas, information, skills, and techniques on all matters related to crafting of nautical models. Visitors are welcome, and the Guild is always looking to recruit both skilled modelers and those new to the craft. Meeting nights are the second Tuesday of each month, at 6:00 P.M. on the upper deck of the ferryboat Berkeley. For further information email the Guild Master: Click Here to Send Email. Experience social life of the Napoleonic era with the Maritime Museum Dancers aboard the HMS Surprise. Since their debut performance on Labor Day 2005, the Maritime Museum Dancers have been delighting museum guests with dance, wardrobe, music and song of the 1805 period. Interested in joining the dance troupe? The Maritime Museum of San Diego frequently has opportunity for volunteers to help at many of our public events. 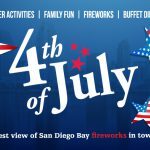 These events include Family Days, Exhibit Openings, Sea and Air Parades, Ship Festivals, Members Nights, as well as countless other events. Volunteers should be friendly, helpful, able to work with the public….and most importantly able to have fun. Positions will vary from event to event but often include concessions, ticket sales, security, crowd control, ushers and others. As a member of the Maritime Museum of San Diego, you support our preservation and education efforts, and in return receive many benefits! Bring the adventure and discovery to life as often as you would like with your Maritime Museum Membership. There are many ways to volunteer at the Maritime Museum of San Diego, contact the Volunteer Coordinator’s office at (619) 234-9153 x 129 or send an email Click Here to email. We appreciate the support, contributions, and enthusiastic participation of our many volunteers at the Maritime Museum of San Diego.